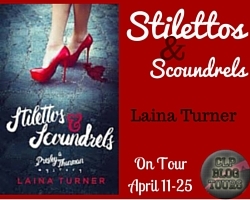 Blogger's Note: Today Laina Turner stops by for an interview as part of her Chick Lit Plus blog tour for Stilettos & Scoundrels. Be sure to check out the other posts on the tour for more on this read. Change the Word: What inspired you to write this story? Laina Turner: I’ve wanted to be a writer since the 2nd grade and wrote stories but never seriously. While I had big dreams and aspirations, I never felt I could be a “real” writer. 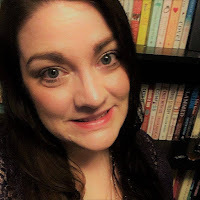 When I reached my mid 30’s, I realized there was nothing keeping me from being a “real” writer but myself and I took the plunge. It took two years of effort before I got to the end. CTW: What was the biggest challenge you faced working on this book at how did you overcome it? LT: Spending too much time thinking and not enough time writing. I would sit and try to think about how exactly I wanted the chapter or plot as a whole to progress, and I spent a lot of time doing nothing. I’ve learned just to write. Even if it doesn’t make sense. More often than not the ideas flow as I put words on the page. CTW: What character was your favorite to write? 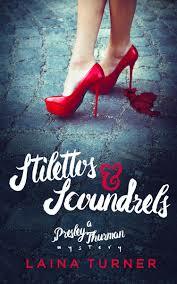 Because Stilettos & Scoundrels was my first book and Presley Thurman is the main character of this successful series I would have to say it’s her. I’ve tried to evolve her over the years as a person women can identify with enough to enjoy experiencing her journeys through her eyes. I want readers to enjoy reading about her as much as I enjoy writing about her. CTW: How did you go about developing the setting? I live in Indiana, so I wanted to the setting to be in the Midwest because it’s what I know. Chicago is such an exciting city, and I thought it would be a good contrast for her to leave this place she now called home to go back to a smaller, more rural setting. I knew I wanted it to be a place where people knew each other, and there was history. CTW: What’s the best book you’ve read recently? 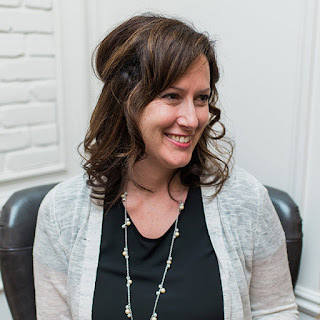 I recently was on a flight and downloaded Love Handles by Gretchen Galway and loved it. I read Life Rewritten by Andrea Johnston on the flight back and enjoyed it just as much. They were both fun and entertaining and gave me the escape I needed. CTW: If you could spend the day hanging out with any fictional character, who would you chose and what would you do? My father read Tom Clancy when I was growing up, and I picked up a book of his one time when I had nothing else to read. Clancy’s books are action packed and have plot twists that are amazing and the main character Dirk Pitt is a man’s man and a man women, love. I think it's awesome to go on an adventure with him. It didn’t hurt my fantasy that Matthew McConaughey played Dirk Pitt in a movie. CTW: What is one piece of advice you would go back and give your 15-year-old self? To be confident and realize you can do anything you want to. I waited to start my writing career for years because I lacked confidence. It’s brought me, and readers, such joy, and happiness that I wish I would’ve started sooner. I spent most of 2015 updating and re-edited my early works to get them as perfect as possible. I am working on the last 2 and also a new Presley Thurman mystery coming out this summer. 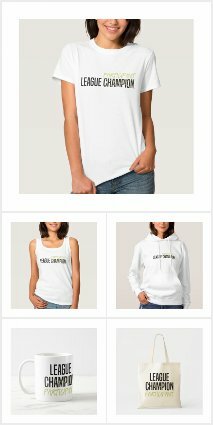 I have an outline for a straight chick lit book I am hoping to have out late fall.